Georgina Hernandez holds one-year-old Sofia Diaz at Fairview Christian Church in Carthage, where the Red Cross has set up a shelter for those who were rendered homeless by flood waters from this weekend's storms. 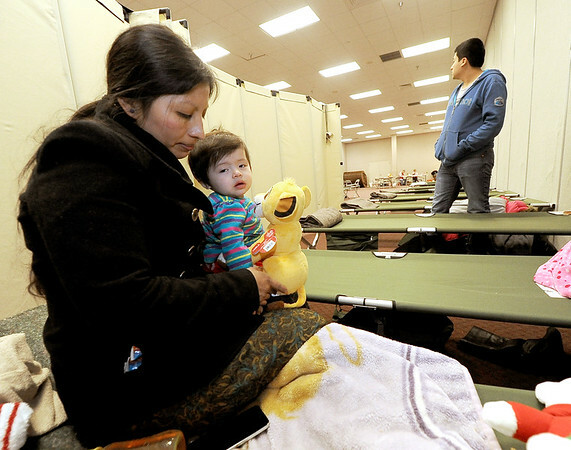 The shelter has aided more than 30 flood victims at the shelter. Also pictured, right, is Jordy Diaz.